Rotorua Education Network – The Rotorua Education Network (REN) is a first-of-its-kind tourism collective solely dedicated to the education industry. The network was formed by 4 tourism partners in 1997 to provide quality out of classroom experiences for students nationwide. They have developed educational programmes that are linked to curriculum and assessment areas. Their aim is to add value to what is taught in the class by providing a practical and hands-on understanding. LEARNZ – LEARNZ is a series of free online “virtual” field trips for NZ teachers and their classes, which are part of the Ministry of Education’s Learning Experiences Outside the Classroom (LEOTC) programme. Field trips are also funded by industry partners. Muriwai – Auckland Council requires school groups to book trips in advance. TOUR TIME – is different from the usual school group Tour Operators, because we take care of everything. Contact us and we can arrange your whole field trip/tour in New Zealand or worldwide from start to finish. Tour Time will spark imaginations and engage your students with the real world like never before. We’ll design the itinerary – with your input of course, take care of airfares, accommodation, meals, experiences, leisure time activities AND learning outcomes will be met. All students will be engaged and inspired like never before. Within New Zealand we also own and operate our own fleet of luxury coaches (NZ), we’ll even drive and manage your tour ourselves. We individually design every field trip/tour so you can make the most of the unique one-off opportunities that always seem to materialise when Tour Time is around. Because we’re involved every step of the way, we offer unparalleled flexibility. If you see something you would like to explore further, we can stay a little longer, if you want to move on, we can skip ahead. There’s plenty of opportunity for spontaneity – and time to take advantage of unique opportunities that crop up along the way. Of course we have an itinerary and a schedule, but at the end of the day, it’s your field trip/tour, and your experiences will be like never before. STA Travel are the world’s largest travel company for students, young people and teachers with more than 35 years’ experience. We’re able to offer competitive and exclusive airfares and provide specialist travel management solutions, including a unique fundraising scheme STA Travel Academic Alliance. STA Travel Academic Alliance is completely free to join and designed to support schools across New Zealand. The school will be rewarded with STA Travel vouchers/travel credit, just through booking group trips with STA Travel and being an ambassador by getting the school’s friends, family and colleagues to book their international travel with us. 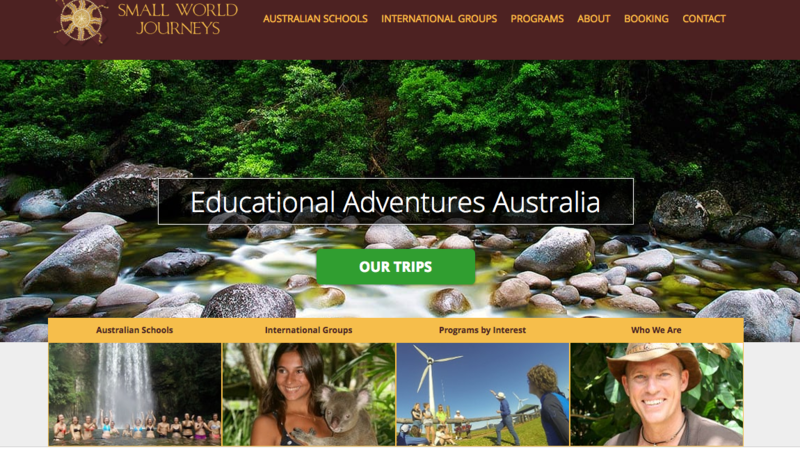 Please feel free to visit our STA Travel Groups website at http://grouptravel.statravel.co.nz/ where you’ll find sample itineraries by subject and destination, along with information on travel essentials such as student discount cards and travel insurance which may be useful for your teachers. Should you be looking for assistance with a school trip quote, simply get in touch with our dedicated STA Travel Groups team at groups.nz@statravel.com or call us on 09 303 9574. If you’d like to learn more about STA Travel and the services we offer, please email myself at hayley.willis@statravel.com or feel free to drop me a call on 09 303 9555. It would be great to explore what partnership opportunities might be available. You are a group organiser or a teacher who looks for a trip with depth. A trip that introduces you to local people, local customs and the wonders of the natural world. A trip that you walk away from feeling dazzled, surprised and educated. Congratulations, you’ve found the company that can give you those things and more. Owners Peter and Laurie met by chance when both were stranded at the Tokyo airport in 2002 when a massive typhoon prevented them from flying out. They were married a year later and the seeds for Small World Journeys were planted. Through their travels in Europe, Asia, North America and the islands of Oceania together, Peter and Laurie have seen how travels can be transformational, and how the human connection transcends race and borders. It is their dream to inspire this sense of connection – to Australia’s people and places—in every guest. Indeed, it is a small world. Our guides are smarty-pants! We feel it’s important for your guide to be not just knowledgeable, but the kind of person you’d want as your travelling companion. While we have naturalists, storytellers, PhDs, entertainers, biologists, field-guide authors and indigenous people in our diverse collection of educators and guides, we are also proud of the kind of people they are – those who are passionate about the natural world, and who want to share their enthusiasm with you. We acknowledge Aboriginal People and Torres Strait Islander People as the first inhabitants of Australia and acknowledge Traditional Owners of the lands where we work and our groups travel. Kiwipaka – accommodation in Rotorua and Waitomo – reasonable costs. Top 10 Holiday Park Waihi Beach – a great place to stay if you are looking at the issue of mining in Waihi or looking at sustainability of the mining industry. Safe and great location. We have used them too. Great and very easy.